The American Legislative Exchange Council is circulating a "Model Policy" resolution endorsing the Trans-Pacific Partnership. If President Obama uses his State of the Union address to launch a major push for “fast-track” authority to bypass congressional input and oversight on a sweeping Trans-Pacific Partnership trade deal, he will need new allies to generate support around the country. The president won’t be able to look to major environmental organizations. The Sierra Club, Friends of the Earth and other green groups are outspoken in their opposition. The president won’t be able to look to progressive farm groups. The National Farmers Union is explicitly opposed to using a fast-track approach that would allow trade agreements to move through Congress with limited debate and without amendments. In fact, if Obama decides to ramp up his advocacy for a free-trade strategy that progressive Americans tend to see as a threat to workers, farmers, the environment, human rights and democracy, he won’t be able to count on many traditional allies to stir up grassroots support in the states. That’s one of the reasons there remains considerable uncertainty about whether the president really will—in a speech that is expected to focus on income equality—spend substantial time talking up a trade agenda that has drawn broad opposition from House and Senate Democrats and so much of his base. If the president does go all in for the TPP, he will find himself in strange company—with groups that promote policies that critics argue are responsible for the growing gap between a wealthy few and an increasingly impoverished many. That group is the American Legislative Exchange Council. 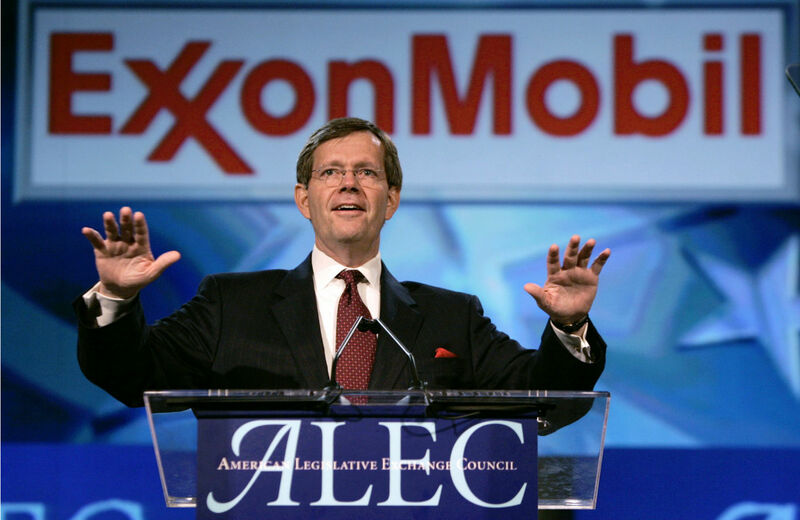 Expanding trade along lines established by the North American Free Trade Agreement and the permanent normalization of trade relations with China has always been on ALEC’s agenda. The multinational corporations that cover the group’s expenses, and help to define every aspect of its agenda, have long embraced an approach that allows them to move factories and jobs from country-to-country in order to lower wages and avoid labor, environmental and human rights regulations. ALEC’s model policy on the TPP even makes respectful reference to President Obama and his administration. That’s ironic, as ALEC members have been among the most ardent critics of the president’s policies. ALEC’s International Relations Task Force, which is co-chaired by a representative from Philip Morris International, declares on its webpage that it “promotes both bilateral and multilateral free trade frameworks, initiatives and partnerships.” ALEC has a long history of being at the forefront of fights to sell the trade agenda outlined in the North American Free Trade Agreement and other deals backed by Democratic and Republican presidents.